Themes of family and political intrigue help this visually-stunning, well acted crowd pleaser rise above most superhero blockbusters. Grand cinematography and truly special effects bring Wakanda to life on the screen as a technologically advanced and isolated country hidden deep in the heart of Africa. We get our first glimpse aboard a futuristic looking spacecraft that’s the equivalent to Air Force One, experiencing the journey through the eyes of T’Challa. We see the African safari, with herds of wild animals running from the aircraft above. Then gorgeous landscapes, brimming with forests and mountains, and finally, like through a portal, the aircraft seemingly disappears into the side of a mountain from one dimension and appears again on the other side in what looks like a different world. Black Panther isn’t just visually stunning, but also one of the best Marvel – and superhero movies in general – that I’ve yet seen. With themes of family and politics at the core of the story, viewers will connect with this film on many deep and personal levels. Without giving away some of the incredible plotlines and twists fans are sure to enjoy, the acting, directing and writing on display is absolutely superb. Chadwick Boseman’s performance as T’Challa and Black Panther brings the audience in and draws out the best from the supporting cast, which consists of many fan favorites. Michael B. Jordan (Creed, Fruitvale Station, Fantastic Four) makes for an awesome and fun to watch villain, who remains relatable throughout. Daniel Kaluuya (Get Out) holds his own in a truly unique supporting role, while Angela Bassett and Forest Whitaker make for memorable and wise parents to the new king. Lupita N’yong’o (12 Years a Slave) shines as T’Challa’s little sister, bringing all the wit and sarcasm that one expects from a younger sibling, plus the added knowledge of amazing technological advances. Martin Freeman (The Hobbit, Captain America: Civil War) plays his role beautifully, always the convincing outsider who’s constantly going two steps forward (and one step back) in this strange, yet awe-inspiring world. Sterling K. Brown (This Is Us, Army Wives) is the ever-American sweetheart everyone will recognize from the first shot, and is immediately drawn to and intrigued by. Ryan Coogler (also Creed and Fruitvale Station) directed and co-wrote this adaptation with Joe Robert Cole (American Crime Story). Together, they capture the best shots and performances, drawing out crucial parts of the storyline while letting more action-packed superhero elements take their rightful place in a supporting capacity. By making this a story about a king with super powers – and not a superhero who happens to be a king – the film can focus on strongly overarching themes of family, and how one decision can alter the fate of not just one person, not just one family, but an entire nation. It’s also refreshing how Coogler doesn’t shy away from the politics so prevalent in the story. Using words like “refugees, “weapons”, and “world war,” Coogler shines a beacon onto the world we live in today, attempting to expose it for what it is in an artistically poignant way. However, he doesn’t stop there. The film goes on to show the people on the other side of the political spectrum, portraying them not as monsters or outright enemies, but rather as human beings who happened to grow up with a different view on life. My only minor gripes would be the opening shots with Sterling K. Brown. While interesting and attention grabbing, it’s not until the halfway point that we’re let into the significance of those scenes. Wondering about the importance of someone who appears to play no role in the current timeline of the story is slightly distracting and had me constantly thinking back, curious about those scenes and if they weren’t just some kind of mistake in the editing room. Black Panther is definitely a must-see movie sure to please not just superhero (and Marvel) fans, but the entire family. Yes, there’s plenty of the action and suspense you’d expect, but these moments are at the service of greater and bigger themes. 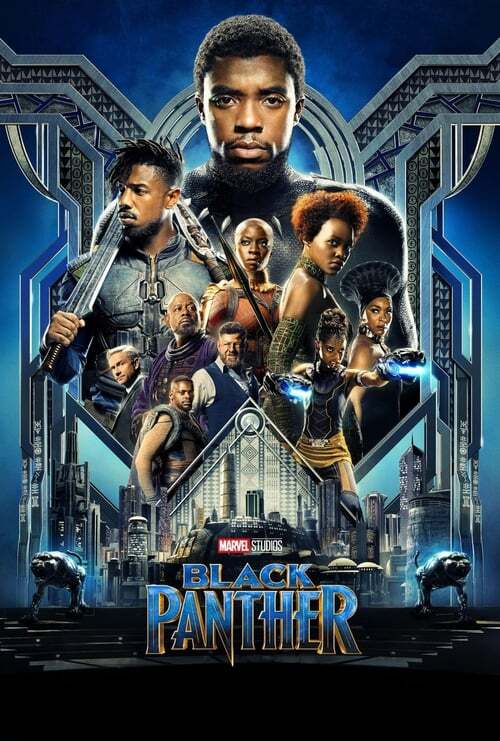 Visually stunning and culturally fascinating, director Ryan Coogler has crafted that rare blockbuster that’s both smart and exciting, presenting the fictional nation of Wakanda and its political turmoil as believable extensions of Marvel’s universe – and our own.